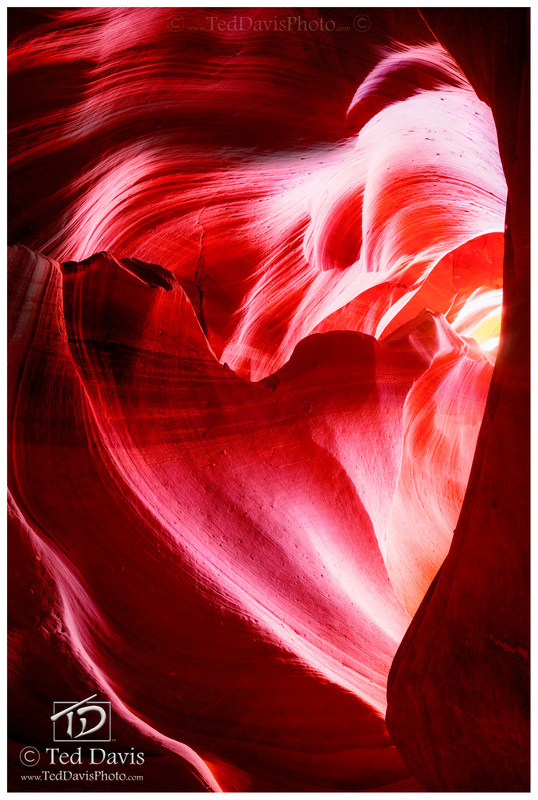 Canyon Heart is the beauty, grace, faithfulness, and love that we witness every day. As the warm colors of the light streamed through the rock formations, I was enchanted by the idea that love was everywhere if we took just a moment to appreciate it. Photo © copyright by Ted Davis.